En Vogue on AT&T AUDIENCE Network. Tune in Friday, December 7 at 9:00 pm ET/PT to watch the broadcast premiere of the concert special “En Vogue” on AT&T* AUDIENCE Network via DIRECTV Ch 239. The show will also be available streaming on-demand through DIRECTV NOW and WatchTV. Heralded as one of the Top 5, highest-selling female groups in U.S. music history , En Vogue –Cindy Herron-Braggs , Terry Ellis and Rhona Bennett –have sold more than 20 million albums to date. Still registering with an unrivaled range of octaves, watch a “First Look” as En Vogue perform their new single “Reach 4 Me” –now Top 15 on the Urban Charts –today on BILLBOARD , HERE. 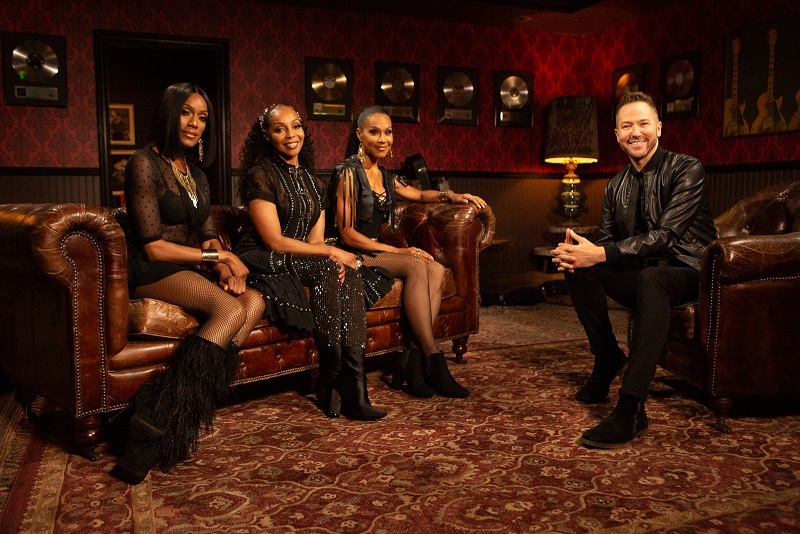 View the behind-the-scenes interview with AUDIENCE Music series host Ted Stryker and En Vogue as they describe how they prepare their live show HERE . V iew the trailer for “En Vogue” on AT&T AUDIENCE Network HERE . En Vogue and AT&T AUDIENCE Music series host Ted Stryker. AUDIENCE Network ’s multiple series of original and exclusive performances give music fans an intimate view of music’s most influential artists today. The network collaborates directly with musicians to create a unique show from their perspective. 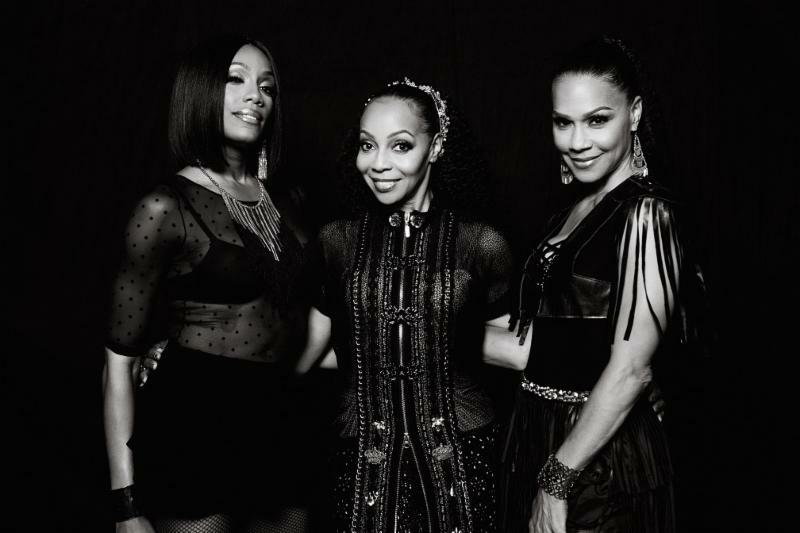 2018 has a whirlwind year for En Vogue , starting with the release Electric Café the group’s first full-length album in 14 years. The new album garnered two Top 15 hit singles , “Rocket” and “Reach 4 Me.” The group performed on The Wendy Williams Show , the Billboard Music Awards and Good Morning America . The timeless trio just wrapped a residency in Las Vegas at Paris Las Vegas Hotelfor “I Love The 90’s-The Las Vegas Show” alongside an all-star lineup of pop, hip-hop and R&B acts including Salt-N-Pepa, Kid ‘N Play, All 4 One, Rob Base, Sugar Ray’s Mark McGrath and Dru Hill. Recognized as one of the Top 5, highest-selling American female music groups in history , En Vogue have sold more than 20 million albums . 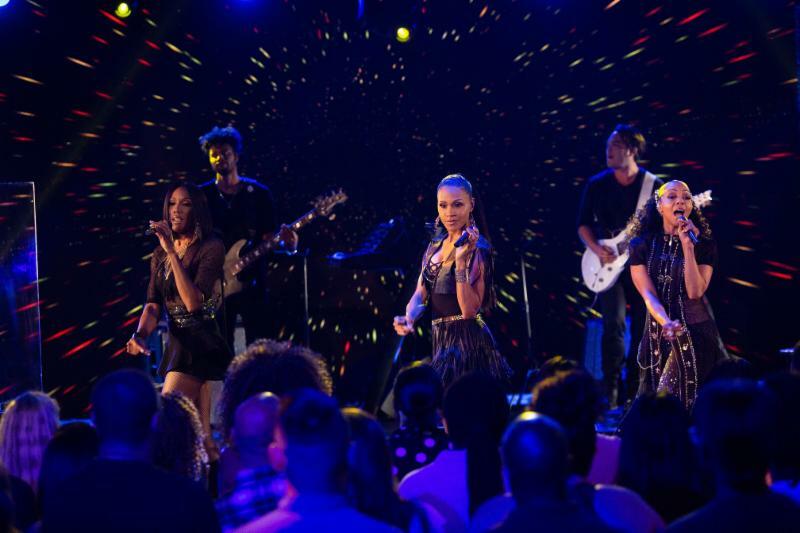 Currently consisting of Cindy Heron-Braggs, Terry Ellis and Rhona Bennett , the group has effortlessly transitioned into the digital age, amassing more than 30 million streams . There have been more than 26 million YouTube views of their Top 6 hit singles : the R&B and pop smashes “Hold On,” “Free Your Mind,” “Never Gonna Get It,” “Giving Him Something He Can Feel,” “Don’t Let Go,” and “Whatta Man” featuring Salt-N-Pepa . The group has won seven MTV Video Music Awards , three Soul Train Awards, two American Music Awards , and received seven GRAMMY nominations . 1 Limited titles available. Requires a Genie HD DVR (model HR54 or later) and a DIRECTV 4K Ready TV, or 4K TV connected to a 4K Genie Mini. Additional & advanced receiver fees apply. SELECT Package or higher and 4K account authorization required. Visit directv.com/4K for complete details. Other conditions apply. Add’l charges apply. 2 Access via computer or app requires qualifying device and data connection. Access to content varies by device, TV plan, and viewing location. Data charges may apply. We help family, friends and neighbors connect in meaningful ways every day. From the first phone call 140+ years ago to mobile video streaming, we innovate to improve lives. We have the best network according to America’s biggest test. ** We’re building FirstNet just for first responders and creating next-generation mobile 5G. With DIRECTV and DIRECTV NOW , we deliver entertainment people love to talk about. Our smart, highly secure solutions serve over 3 million global businesses – nearly all of the Fortune 1000. And worldwide, our spirit of service drives employees to give back to their communities. AT&T Communications is part of AT&T Inc. ( NYSE:T ). Learn more at att.com/CommunicationsNews . AT&T products and services are provided or offered by subsidiaries and affiliates of AT&T Inc. under the AT&T brand and not by AT&T Inc. Additional information about AT&T products and services is available at about.att.com . Follow our news on Twitter at @ATT, on Facebook at facebook.com/att and on YouTube at youtube.com/att .